After the bombshell in Chew #50, and before #51 is out to the public, here is one last post about Boston Comic Con (and yeah I am really getting some mileage out of it). 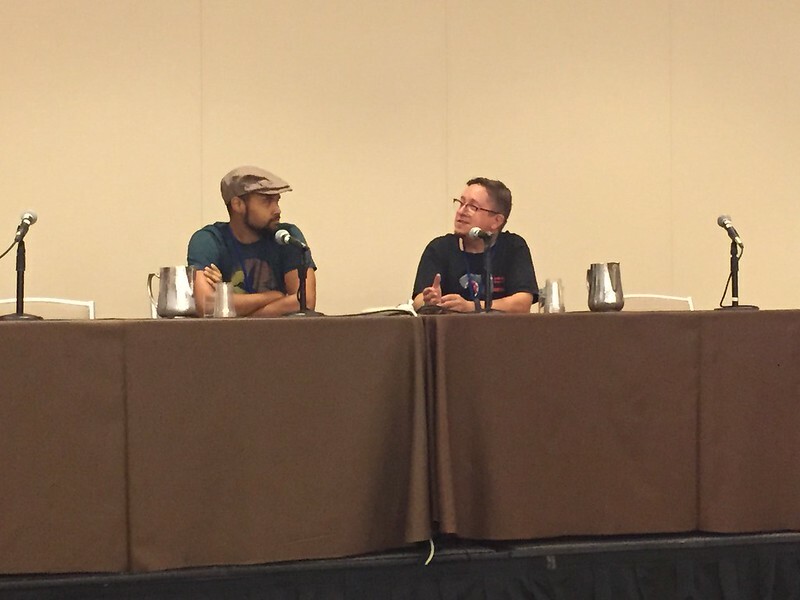 Attending the Chew panel and talking to the creators was a big part of our con experience so we wanted to share a bit of what we learned with you Chew fans (and for those of you who aren't fans yet, hopefully this encourages you to start reading). If you're not already reading Chew, here's a super quick overview. It's written by John Layman with art by Rob Guillory, and published by Image Comics. It's sort of an avian flu post-apocalyptic police procedural. It's crazy, it's fun, and we can easily say there are no other comics like it out there. Issue 50 is out as I write this, and the series will run 60 issues. Layman made a conscious decision to have an end in sight so he could write the series like a novel. To start the panel Layman discussed how Chew got out into the world in the first place. He had this idea when he was a hungry (ha ha) writer and just kept pitching to every Vertigo Comics editor. But no one was biting. (Puns!) Layman started to feel like he was flunking out of comics, but he was getting some good paying video game work. In fact, working on the Marvel MMO got him the money he needed to hire an artist and create Chew himself. He figured he would do 5 issues and that it would be a good portfolio piece, something to show editors to get other work. The artist he hired was Rob Guillory. Guillory was pitching to Vertigo, but was really excited about Chew because it gave him the opportunity to draw in his own style rather than "Vertigo Style". 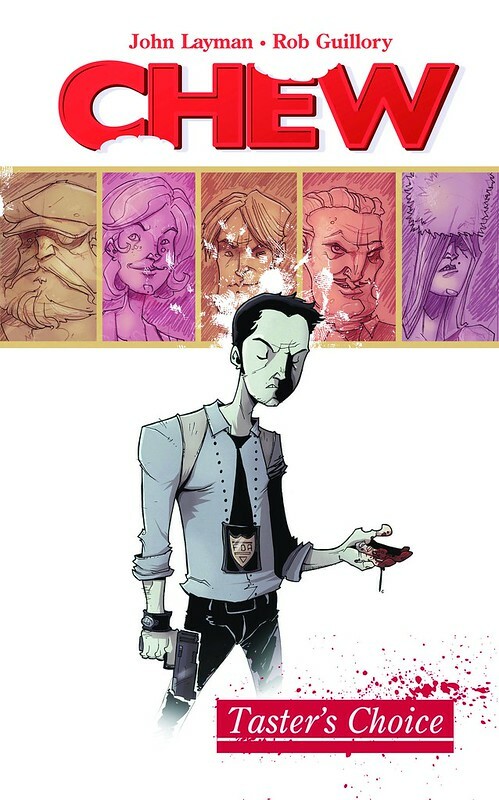 Chew's popularity really hit when it was reprinted in The Walking Dead #63. When this happened, it got popular much faster than Layman anticipated. He admitted that he wasn't super happy with the second story arc in the series because he felt less prepared to write it. He thought he would have more time. But once arc 3 came around he felt the story really hit its stride. If you read Chew you know it's a pretty funny book. The humor comes from both the writing and the art. Guillory adds pop culture references to his art largely to amuse himself while he works, but thinks it's great that other people find them funny as well. Layman, who does his own lettering on the book, laments that sometimes he has to cover up some of the background jokes to make the dialogue flow in the way he wants. Initially Layman did his own lettering to save money but found he liked the control it gave him. This also means he can spend as much time as he wants doing things like making the sound effects really ornate. Layman shared that David Tennant has been practicing his Orson Welles impression. There is an actor in talks for Colby...and who that actor is sort of slipped out during the panel. But as requested by Layman, I am not going to share that info here so that contract talks can continue and hopefully be successful. If it does go through, I think fans will be very happy. After the panel The Red Menace and I were sure to stop by Layman and Guillory's table so TRM could get her lovely Chew hardcover editions signed, and so I could pick up my super cool Poyo sticker. 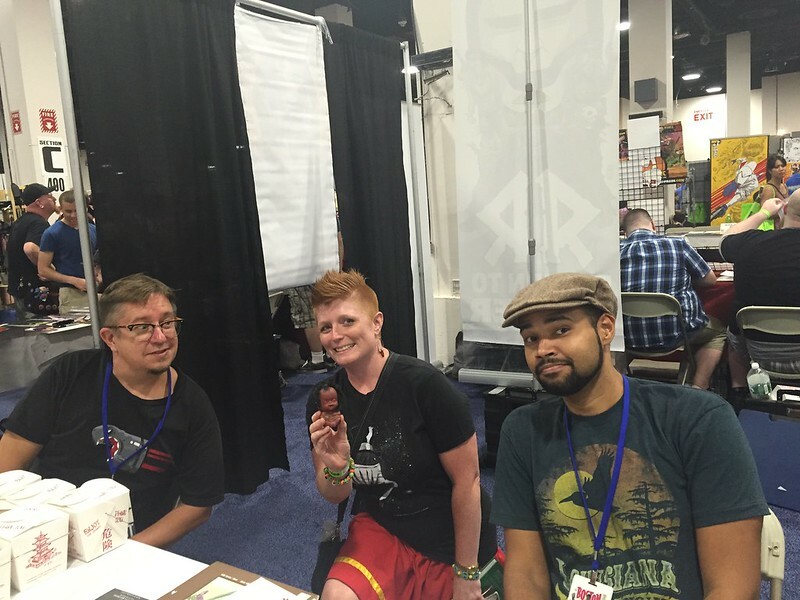 We had a great time chatting and Layman asked us if we felt he fridged a certain character. I'll keep this spoiler free, but we didn't. It was great to hear his perspective and engage in a discussion on this topic, and also flattering to know he was interested in our opinions. We also got a chance to share the super fun GWF activity book. They were even kind enough to pose with LoC correspondent Ugly Baby. Great creators, and a really fun comic. If you aren't already reading Chew, we hope this has encouraged you to try a bite (I couldn't resist, I'm not sorry).